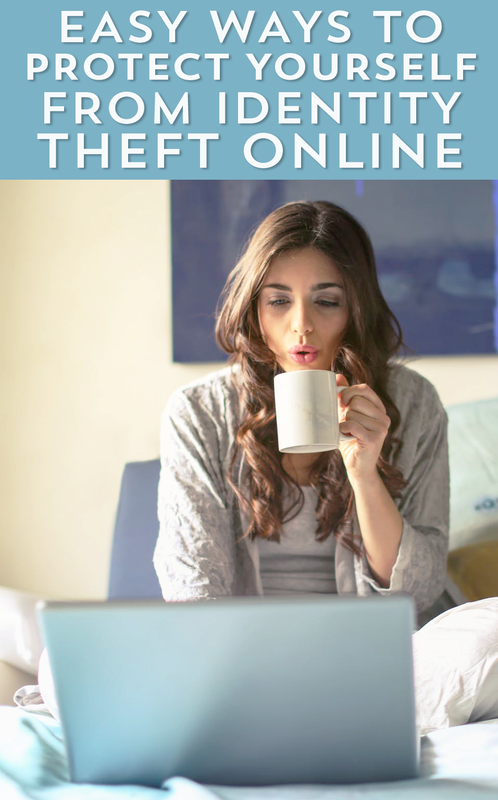 Protecting yourself from identity theft online can easily seem overwhelming. With data breaches, spam scams and phishing attempts, it makes many of us feel powerless about protecting ourselves and our assets- but it doesn’t have to! With a few savvy strategies, you can protect yourself and ensure your accounts and information are secure. For important information regarding digital safety, check out Allstate’s Hidden World of Data. In light of the Facebook’s new transparency regulations, it’s important to understand that beyond social networking sites, the entire digital ecosystem has remnants of your shopping, browsing history and interactions with various places online. If you’re uploading photos to Instagram, or even using a traffic tool like Google Maps or Waze, these are all components of your digital footprint. Everyone has a digital footprint, but understanding how many tracks you’ve left behind is important for monitoring your impact- or how someone could potentially target. Your credit card purchases (both online and offline), browsing history, location services (where your phone is on and helping track where you are), fitness trackers, social media accounts and even your various devices (from your smart TV to your Nest thermostat) make up a larger part of your digital footprint than most people realize! Curious to learn more? You can take a digital footprint quiz with Allstate to figure out your digital footprint and see where your data might be available online. Do a Google search of your name and see what pops up. If there are old accounts or entries you no longer want to be associated with (like an old blog or Twitter account) you can delete those. Taking steps to manage your digital footprint can be done on a yearly basis, as our technology use changes over time. While it’s not the most fun thing to do, you can make managing your digital presence more fun by putting on a good movie or tackling it in tandem with a spouse or friend. Add ice cream and you’re set to tackle your digital security and your sweet tooth to boot! The key to your passwords staying secure is to update them regularly, keep track of them where you can find them (in a secure app like LastPass), and to ensure you use a combination of special characters to make it harder to guess. Cookies are helpful because they help create a web surfing experience that’s tailored for you. If you previously went to a site, having cookies will help it load faster and even tailor your search results to try and help you find what you’re looking for faster. But, if you don’t want that behavioral data being out there, update your browser settings and browse incognito or in “private” mode. Clear out your browsing history regularly takes just a few seconds, but be sure to get the cookies too! Always beware of phishing scams- they’re not just in your email inbox. Phishing isn’t JUST those identical-looking fake emails, it can be any form of misrepresentation intended to steal your personal info or money (i.e. foreign prince that needs money wired). They may be a nearly identical replica of an email or website, but they’re set up to get your information. While some scams are obvious- Facebook would never ask for your Social Security number, but a phishing email mimicking your bank might ask you to “validate” your account to get that information as part of a scam. It can seem legit, but always ask yourself why someone would need this information before you type anything in. If someone is asking you for any critical information like a social security number, password or credit card number, even if it seems within the realm of possibility, do some digging before you provide it. With every email that is asking for any type of information check the email address. When you click through, check the webpage to ensure it’s secure and a domain you recognize. Be skeptical every time someone asks for your information, many phishing emails look like the real deal, but the “from” address or webpage is slightly off. In sum, we live in a digital world that we interact with so constantly we may not even realize what data can be getting out there, or how it’s used. Our interactions provide data that can make our lives easier- helping us get from point A to point B without hitting traffic, or making it easy for us find the perfect gift based on our shopping preferences and history. We share data when we track our steps from a smart watch or share a vacation photo with location tracking- but that doesn’t mean we can’t control how the landscape looks for our personal reach. Just as you’d secure your home or valuables, securing your online data can be just as important and should be a part of your regular tune-ups for safety. Luckily though, it doesn’t have to be overwhelming to ensure your data sharing is exactly how you’d like it! This is good advice, everyone should check in on this once in awhile! 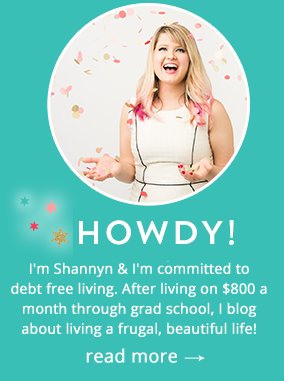 I have a monitoring report that I signed up for, it’s really helped me stay on track with my credit history and usage.